The Every Nation Building is home to Every Nation, a worldwide family of churches and ministries that exists to honor God by planting Christ-centered, Spirit-empowered, social responsible churches and campus ministries in every nation. Since our humble beginnings in 1984, we have placed a premium on leadership development, believing in the God-given potential of everyone to empower others, and enabling them to fulfill the purpose God has for them. 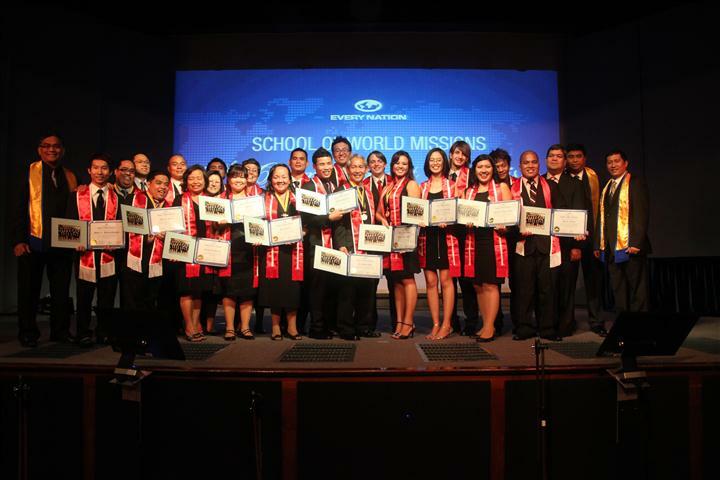 School of World Missions graduates stand proud during their graduation ceremony at the Every Nation Building Assembly Hall. Since 2003, Every Nation’s Schools of Local Church Ministry and Church Planting, School of World Missions, and School of Campus Ministry have raised up hundreds of campus missionaries, church planters, and cross-cultural missionaries, through classes, seminars, and other leadership development efforts at the Every Nation Building. It has also served the administrative offices of Every Nation, Victory, Real Life, and Lifebox, bringing the entire Every Nation family literally under one roof, to train leaders and transform nations, from one home in the heart of Bonifacio Global City. Phase 1 of the Every Nation Building saw the creation of a landmark catalyst that enabled Every Nation to establish the processes and build the structures necessary to bring church planting, campus ministry, world missions, and social responsibility, to world-class standards. To date, more than 56,000 people attend our 15 locations in Metro Manila, with thousands more attending our more than 50 churches in provinces across the nation. More than 200 Real LIFE scholars have completed their high school and college educations, and thousands of leaders throughout the nation are benefiting from the training programs being developed at the Every Nation Building. 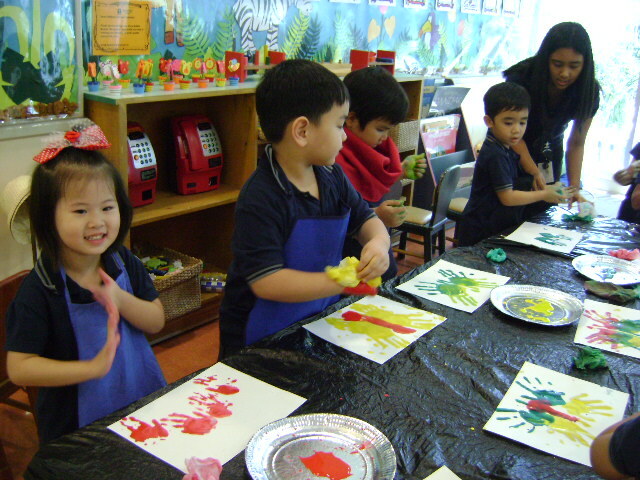 Preschool students of Victory Christian International School engage in arts and crafts in their classroom on the ground floor of the Every Nation Building. Since 2003, we have maximized every square foot of this facility, and we at Every Nation are now excited to introduce you to Phase 2 of the Every Nation Building, which will see the creation of a leadership training institute that will prepare the next generation of leaders who will, in turn, raise more leaders. We envision transformed lives and trained leaders who will make a difference in our nation and in the mission fields in our generation. Partner with us today! Learn more about how you can participate in the Every Nation Building Phase 2 Project.